It's Christmas and I am in Germany. No need to say more. Protein Stollen is a must! Makes 10 servings (1 slice = 1 serving). This is a very simple, delicious, high-protein recipe you can prepare under 'basic conditions'. While travelling, I have to cook under very limited conditions most of the time; I don't have an oven, I don't have a food processor and I don't even have a proper knife. Because of its high protein, fiber and water content it is super satiating and ideal for my bodybuilding show preparation diet. I created the recipe based on the principles of my DESSERT DIET. Dice zucchini and place them into a large pot. Add water and cook until zucchini become very soft (about 20 min). Stir occasionally. Add water if necessary. Crush zucchini with a fork. Add TVP and cook for additional 5 min. Stir in protein powder and sweetener. Depending on the porridge consistency you prefer, you may need to add more water. Many people aren't able to keep their protein high and carbs and fat low enough to lose weight and maintain muscle. My recipes are designed exactly with those factors in mind! Peanut butter is life, right? And if you combine it with pancakes it's like being in HEAVEN! If you feel the same, then this recipe is for YOU! The best about this recipe is that it is absolutely bodybuilding-cutting-diet-friendly. 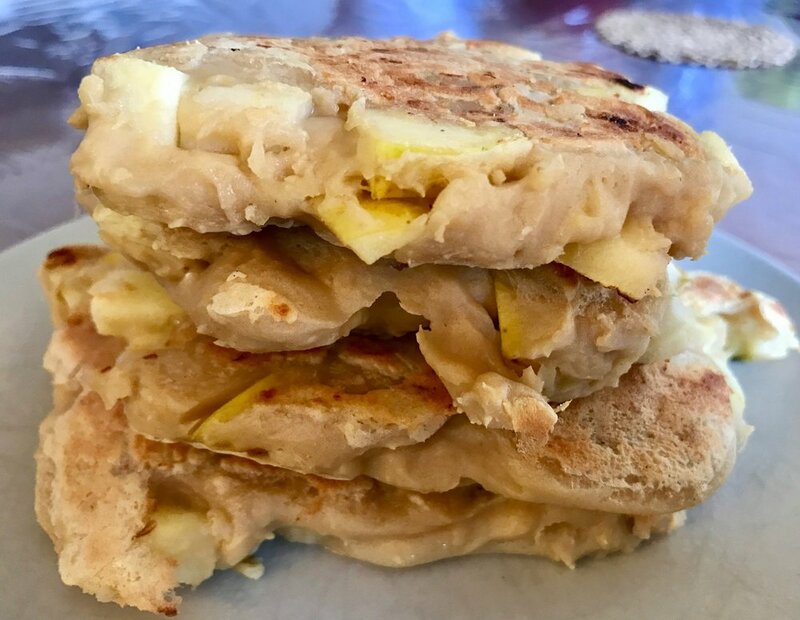 This means you can eat these delicious pancakes while losing fat (the recipe is low in calories) and building muscle because of its high protein content. I created this recipe because it is perfect for my bodybuilding show prep diet, as it contains exactly the nutrients I need and makes me feel satiated and satisfied even on a very low calories weight loss diet. 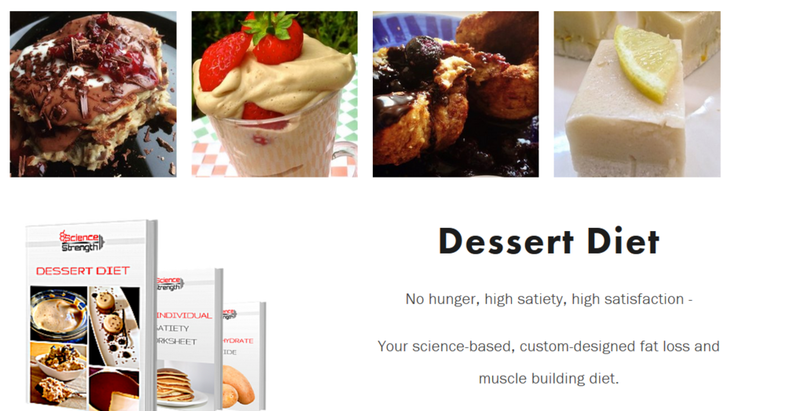 If you are interested in more delicious, satiating, diet-recipes like that check out my DESSERT DIET! *powdered peanut butter: not more than 13 g fat per 100 g. You can use PB2 or order it from batch protein suppliers, like myprotein, which will be cheaper. Makes 3 pancakes = 1 serving. Dieting doesn't need to be restrictive. The more positive your mindset is and having tackled the issues around hunger, satiety and satisfaction, the process of reaching your goals instantly becomes easier and a breeze. The recipes that I have created over the past years made dieting easy and sustainable for me and my clients! Your science-based, custom-designed fat loss and muscle building diet. That's a super quick and easy protein pancake recipe using my basic staple ingredients. If you want some variation, you can add different spices and flavourings to pancakes. My favourite options are cinnamon, gingerbread spices and toffee flavouring. Makes 4 pancakes = 1 serving. Side note: If your pancakes aren't fluffy, you probably added too much water. The pancake batter has to be sticky (more like for a cake). A really simple, delicious recipe with ingredients that are easily to get almost everywhere. 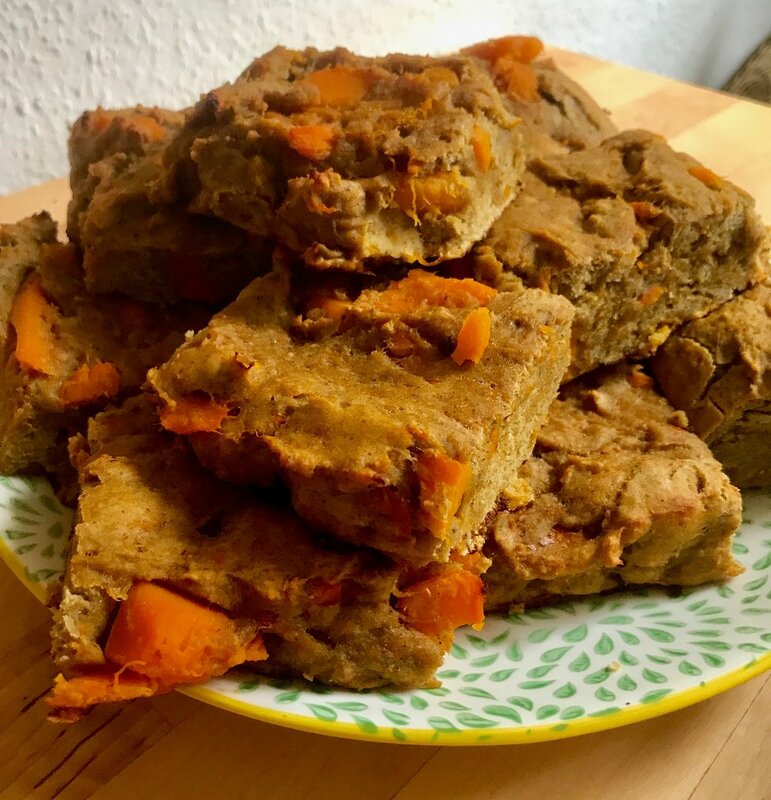 That's my staple recipe when I travel the world and live in countries, in which vegan protein sources are very limited...to be on the safe side, I usually take a few kilograms of pea protein powder with me.